Renton offers numerous outdoor activities perfect for the solo adventurer or family looking for their ideal picnic spot. 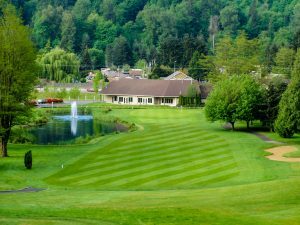 29 developed public parks, 13 miles of trails, 813 acres of public open space, an 18-hole golf course, two lake-front beaches, and a public boat launch can all be found in Renton, and it’s these amenities that help bring our community to life. 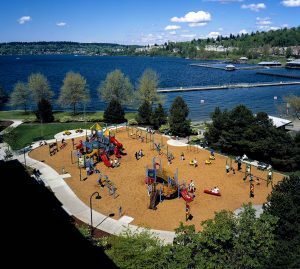 Gene Coulon Memorial Beach Park – 57 acres of water-related recreational enjoyment at the southeast corner of Lake Washington. Amenities include eight boat-launch lanes, four picnic shelters, horseshoe pits, a fishing pier, a 900-foot pier/water walk with picnic floats, and a summer swimming area. The Park also hosts numerous events like Ivar’s Clam Lights, kids fishing derbies, annual Fourth of July festivities, and the Kidd Valley Summer Concert Series. Cedar River Park – A 23-acre community park that includes a multi-use field with a baseball diamond; the Henry Moses Aquatic Center that houses numerous water structures and activities; the Renton Community Center, a full-service recreation center; the Carco Theatre, a 300-seat facility used for business meetings, seminars, and receptions; and Cedar River Trail access. Meadow Crest Playground – An all-inclusive playground – touted as the Pacific Northwest’s greatest playground – that is a vibrant and colorful outdoor space. Kids of all ages can spin on an open frisbee, swing in a saucer, climb a caterpillar, bang on oversize drums, and more. Renton Sailing – Learn to sail and enjoy recreational sailing at Gene Coulon Memorial Beach Park at the sound end of Lake Washington. Learn more, and come sail away with us! Maplewood Golf Course – Voted “Best Public Golf Course” four years in a row by the South County Journal “Reader’s Choice Award.” Maplewood is a Certified Audubon Cooperative Sanctuary, and the course plays to just over 6,100 yards from the back tees. Kennydale Beach Park – A 1.8-acre sunny, sandy park along Lake Washington. Perfect for swimming – a pier and log boom define the area. Lifeguards on duty. For more information on parks and rec, as well as programs and events, pick up a copy of our What’s Happening magazine, or download an e-version here. Watch Playing in Renton, and discover why Renton is an amazing place to shop, dine, learn, visit, and more.